Full audio recording available soon. 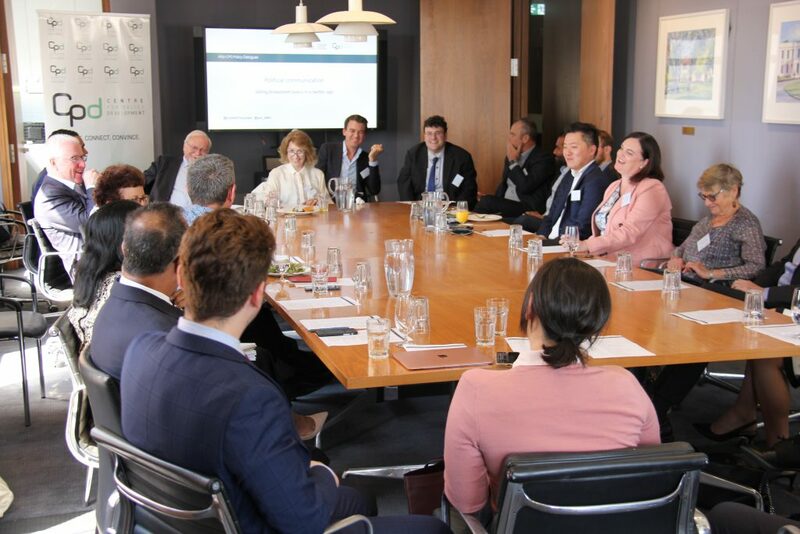 On 14 March, we hosted the first ANU-CPD Policy Dialogue for 2019 on the topic of Political communication: selling broadsheet policy in a Twitter age’, featuring opening remarks from Professor Frank Bongiorno AM (Professor of History, ANU); Maxine McKew (Graduate School of Education, University of Melbourne); and Michael Rowland (Co-presenter, ABC News Breakfast). The roundtable was moderated by ANU Chancellor and former Foreign Minister, the Hon Gareth Evans AC QC. “Policymakers are going to have to get much better at storytelling if they are ever going to sell complex policy to a seemingly ever-shorter-attention-span electorate”, Evans has often reminded participants at previous Policy Dialogues. 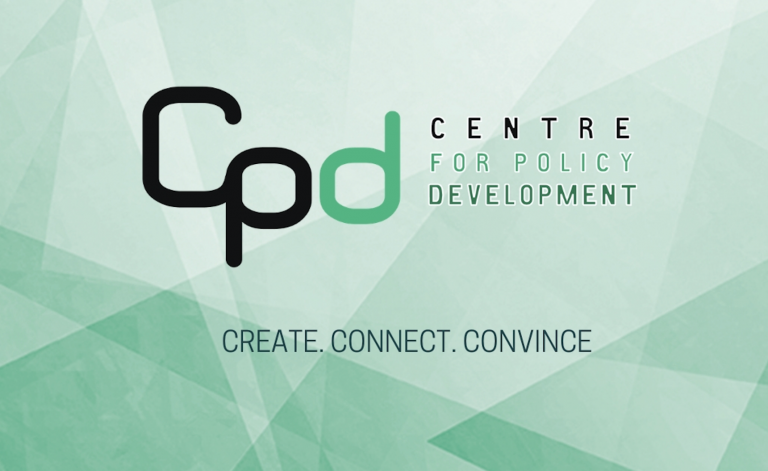 Last December, at CPD’s John Menadue Oration, Professor Mariana Mazzucato spoke about the need for bold narratives to drive more ambitious policy-making. 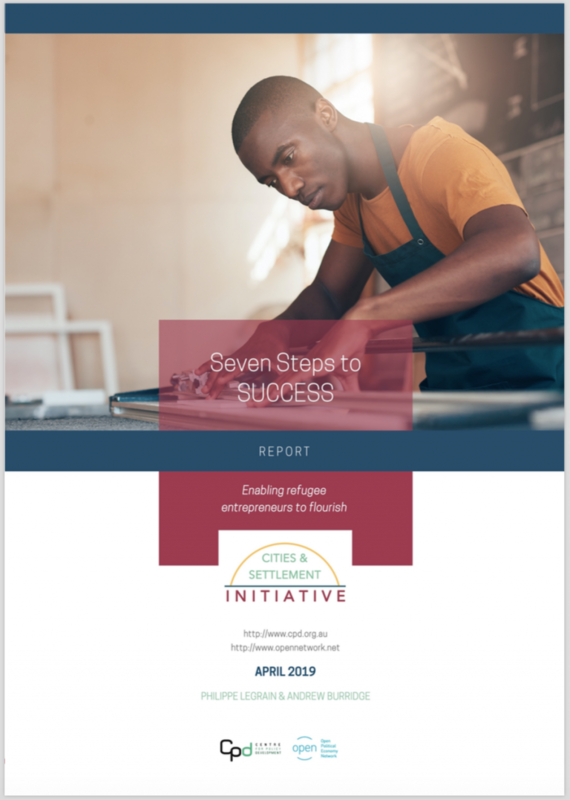 This Policy Dialogue was an opportunity to test these claims, and discuss the need for better narratives and communication methods if simplistic, reflexive policymaking is to be avoided. Maxine McKew opened the discussion describing how the policy and media landscape has changed over the last decades. New, well-funded, disrupting actors making use of the latest technologies have been penetrating the public sphere. These actors were the driving forces behind Brexit and the last U.S. election and are seeking some sort of anarchic chaos in our democracies. The key question that Maxine raised was how you conduct public policy debates with some integrity in the face of these well-funded disrupters. Frank Bongiorno then looked at the historical background of political communication. He observed that failed political storytelling is one of our biggest policy challenges today. History has shown that almost all successful political leaders such as Nelson Mandela have been superior storytellers who knew how to craft a narrative. In contrast, Frank believes that today’s politicians are putting remarkably little effort into crafting their stories. Michael Rowland offered some insights into 30 years on the media frontline and gave his view on how the 24-hour news cycle and social media have fast-tracked the policy debate in Australia in a negative way. He touched on the toxic nature of Twitter regarding particular policy issues such as Indigenous affairs and matters of race, and warned that social media can easily turn facts on their head which make a serious policy debate on these platforms impossible. The pressure on policymakers and other leaders to publicly comment on any topic of the current news cycle. Politicians’ unwillingness to speak beyond their highly-politicised talking points, and the common habit of avoiding a journalist’s question. The importance of other ways than via media for politicians to communicate with the community. The effect of the lack of traditional media gatekeepers on quality journalism. 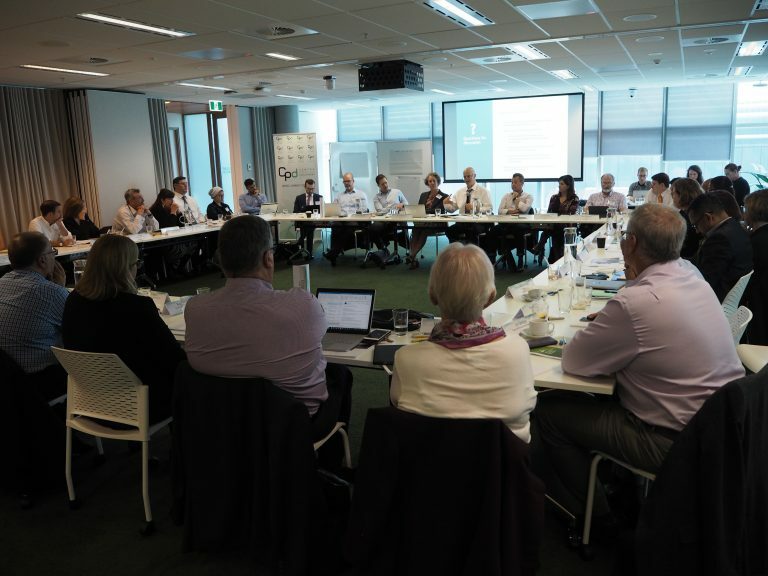 The potential to engage everyday Australians more actively in public policy debates. Abul Rizvi (Former Official, Commonwealth Department of Immigration), Arden Baker (Account Executive, Civic Group), Ben Davison (Chief of Staff, ACTU), Benson Saulo (Head of Partnerships, Australian Unity), Bronwen Clark (Executive Officer, National Growth Areas Alliance), Eric Beecher (Chairman, Private Media), Frank Bongiorno AM (Professor of History, ANU College of Arts and Social Sciences, ANU), Gareth Evans AC QC (Chancellor, ANU), Jacqui Phillips (Director of Policy and Advocacy, Australian Council of Social Service), Jackie Yowell (Consulting Publisher and Editor), Jamila Rizvi (Author, presenter and political commentator), Kelly O’Shanassy (CEO, Australian Conservation Foundation), Luisa Boll (Communications and Events Officer, Lynne Haultain (Executive Director, Victoria Law Foundation), Jieh-Yung Lo (Executive Officer to Chancelor, ANU), Matthew Gordon (CEO, OurSay), Maxine McKew (University of Melbourne), Michael Rowland (Co-presenter, ABC News Breakfast), Michele Fonesca (Former Head of Community Engagement, Diversity & Inclusion, ABC), Niraj Lal (Presenter, ABC Sciencey), Peter Martin (Business and Economy Editor, The Conversation), Philip Le Liu (Councillor, City of Melbourne), Sarah Carter (Manager, Australian Aid and Parliament Project, Save the Children Australia), Sean Sammon (CEO, Bastion Engage), Simon Holmes à Court (Energy transition Specialist), Travers McLeod (CEO, Centre for Policy Development), Wesa Chau Director (Cultural Intelligence). Frank Bongiorno is an Australian labour, political and cultural historian. He is Professor of History at ANU College of Arts and Social Sciences, Australian National University. He has served on the New South Wales Arts Advisory Council and as a member of the New South Wales Ministry of the Arts Literature and History Committee, including as its chair for three years. 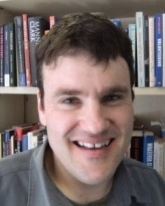 He is an Editorial Board member of Labour History, Journal of Australian Studies, Australian Journal of Politics and History and History Australia, and was co-editor of History Australia from 2013 to 2015. 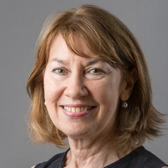 Maxine McKew is an author and an Honorary Professor of the Melbourne Graduate School of Education at the University of Melbourne. She also produces a podcast called Talking Teaching. Maxine’s background traverses both journalism and politics. When she left journalism and made the switch to politics, she wrote herself into the Australian history books by defeating Prime Minister John Howard in the Sydney seat of Bennelong. In government she was both parliamentary secretary for early childhood and later, for regional development and local government. Maxine is a director of Per Capita and the John Cain Foundation. In 2015 she was appointed to serve on the board of the State Library of Victoria and re-appointed for a further term in 2018. Michael Rowland has presented ABC News Breakfast since the launch of ABC News in 2010. Michael was previously North America correspondent and during his posting covered stories including the election of Barack Obama as US President, the outbreak of the global financial crisis, the Virginia Tech massacre and David Hicks release from Guantanamo Bay. 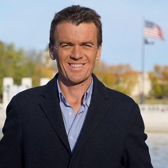 Before going to the United States, he was Lateline‘s finance correspondent and also covered business and economics for a range of other ABC TV and radio outlets.